The LEGO Group has made it official: everyone’s favorite time lord is becoming a LEGO! 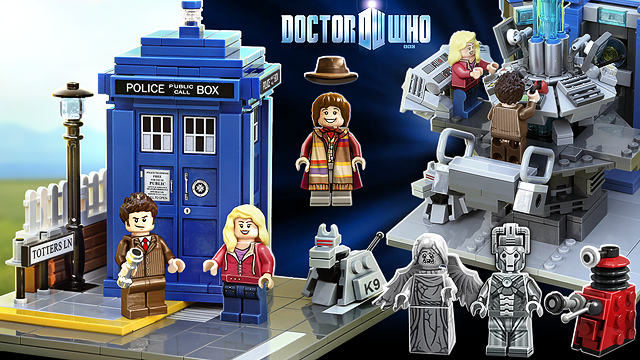 The Doctor Who and Companions LEGO set shown above is NOT the final product, but rather the idea submitted by LEGO fan Andrew Clark. Look for more info on these two sets as the years rolls along. Previous Marvel's Daredevil Teaser Trailer is Up! That is overdue! Looking forward to the Goonies and Doctor Who sets, especially. I love Legos. I watched a documentary about how they pulled themselves back from the brink – they were losing something like a $1million a day. Not anymore. And their growth trend will only continue if they keep putting things like this out! Agreed, long overdue! Legos are a staple in pop culture, just saw the Ghostbusters set at Toys r Us, looked amazing!